Shallow waters near the shoreline. Often seen at the water’s surface near docks, marshes, beaches and bay grass beds. Found throughout the Chesapeake Bay from spring through autumn. Will venture up the Bay’s rivers into fresh water. The Atlantic needlefish is a skinny, silvery fish with long, tooth-filled jaws. It lives in the Chesapeake Bay’s shallow waters from spring through autumn. The Atlantic needlefish's long, narrow body grows to two feet in length. 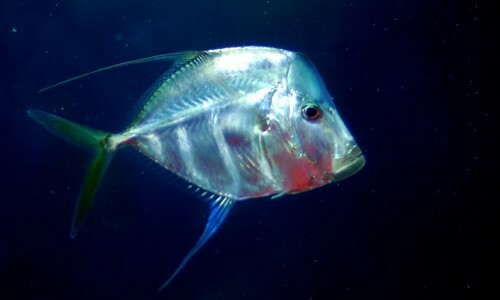 It has a greenish back, silvery sides and a thin, bluish-silver stripe along each side. One dorsal fin is located far on its back, close to its tail. 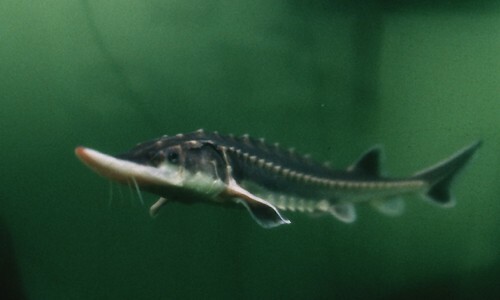 Its long, slender jaws are filled with tiny teeth, and its lower jaw is slightly longer than its upper jaw. Young needlefish do not have elongated jaws like adults do. The needlefish forages for shrimp and small fish such as killifishes and silversides. It patiently stalks its prey then catches it sideways in its scissor-like jaws. Larger fish, bottlenose dolphins and fish-eating birds, such as bald eagles and black skimmers, all prey on Atlantic needlefish. 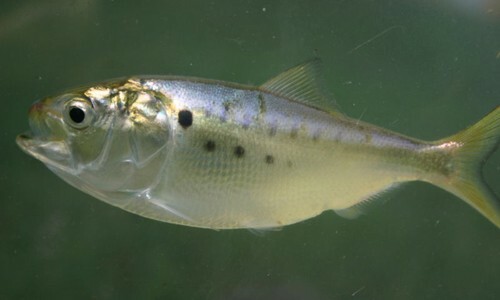 Spawning occurs in May to June. Females have only one ovary. Her round eggs sink to the bottom, where they attach by adhesive fibers to underwater grass blades and other surfaces. The Atlantic needlefish gets its name from its long, needle-like jaws. They are attracted to lights, which is why they often congregate near piers and bridges.